Home / Insta / Stop paying for instagram bots! There are many services available that will boost your instagram following, but they charge hefty monthly fees. Stop paying them and do it yourself! When I first became aware of instagram bots and was immediately torn. One half of my brain thought about how dubious they were from an ethical perspective, and the other half was seduced by the thought of saving lots of time. 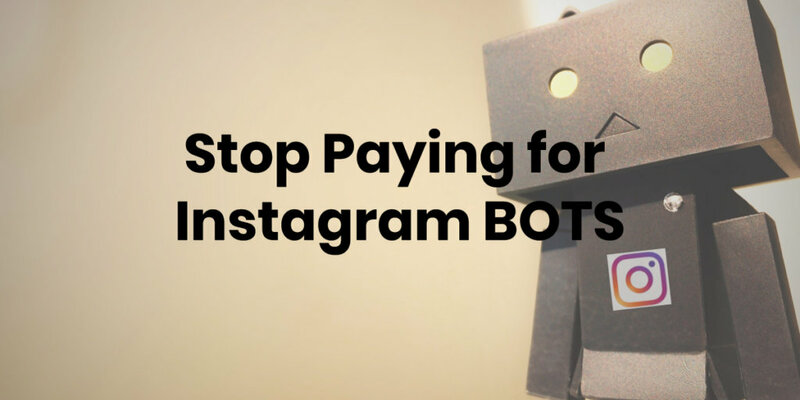 This article isn’t about the moral or ethical use of bots, but is aimed at people who either want to try out a bot to automate their instagram, or are already using a commercial bot service but are interested in a more “DIY” method to save on all those monthly costs. There are loads of services out there that can automate actions on your instagram account. They basically all work in a similar way. You specify what hashtags you are interested in, and the bot will automatically like images posted under those hashtags, and follow users who post images with those hashtags. You can usually define how many actions to perform, per day, and some allow auto-commenting too. One thing these kind of services all have in common is that they will charge you monthly fees to use their services. It’s a great business model, so you can’t blame them for that. Are there any free instabot services? Yes! 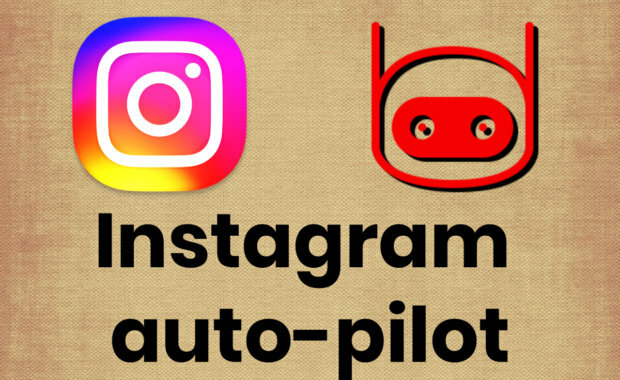 There is a fantastic free instabot called, you guessed it, Instabot! Having used both paid services and the free instabot, I’d conclude that whilst the free version may lack some of the options available via some services, the price tag (free) more than compensates. In tests, I was able to grow two new accounts to more than 1500 followers within a month. And that was starting from scratch with zero followers, and not using the commenting feature. Can anyone use the free InstaBot? Yes, but it does require some technical know-how and experience to get it running. If you know what you’re doing with zip files, extracting files, editing text files to configure scripts and using the command prompt, you’ll be able to dive right in. If any of that made you wince, I’ve created a complete foolproof step by step video course to take you through the process! If you’re looking for instructions on how to set up instabot, look no further. We’ve created the complete foolproof video course to guide you step by step through how to set up instabot. How to control your bot remotely from your phone! Take a look at the course. Scusa, conosco solo l’inglese. Potresti provare a utilizzare Google Traduttore?